Wow! Well what a festival we have just had! Every single event has had a buzz about it. The Main Event broke records and the tournaments ran like clock work. 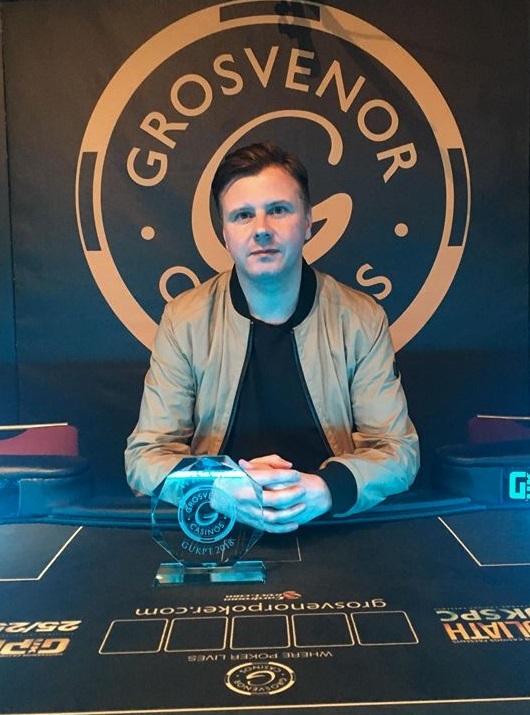 The biggest ever GUKPT Main Event in Scotland took place this week with 258 entries and Garry Stevens-Smith has took it down, a more than worthy winner who was emotional after his win. We hope you enjoyed the stream over the last four days and will be with us in 6 weeks time when we heads south to Reading for the 4th leg of the 2018 tour. 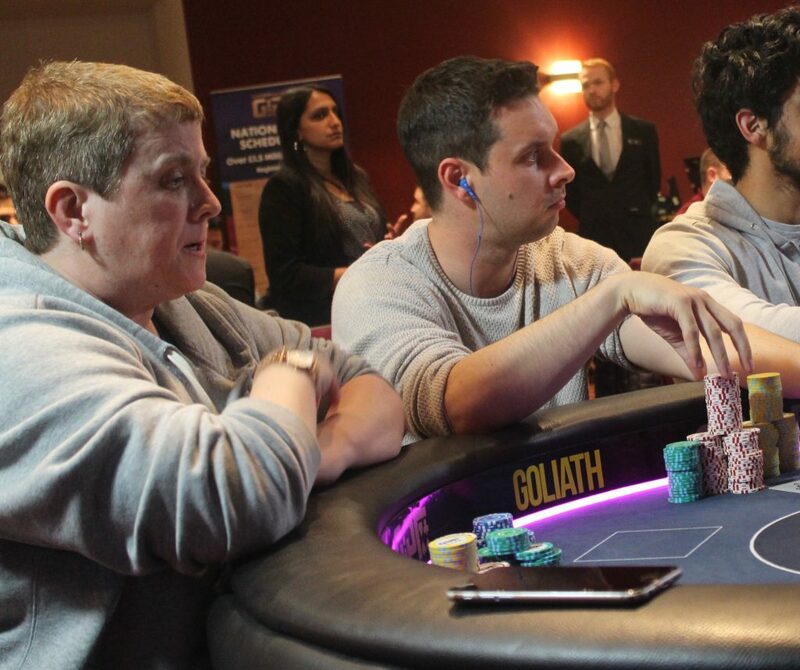 16th – £1,400 – G.K.
Ian shoves his 6 bigs all in and Gary makes the call. The flop comes giving Gary a gut shot straight draw…. 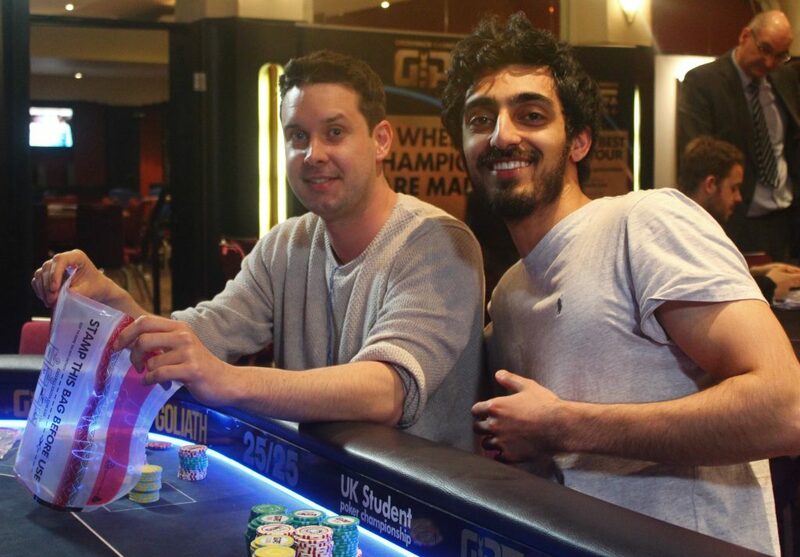 Ian Berry is the runner up finishing in second place for £23,850. 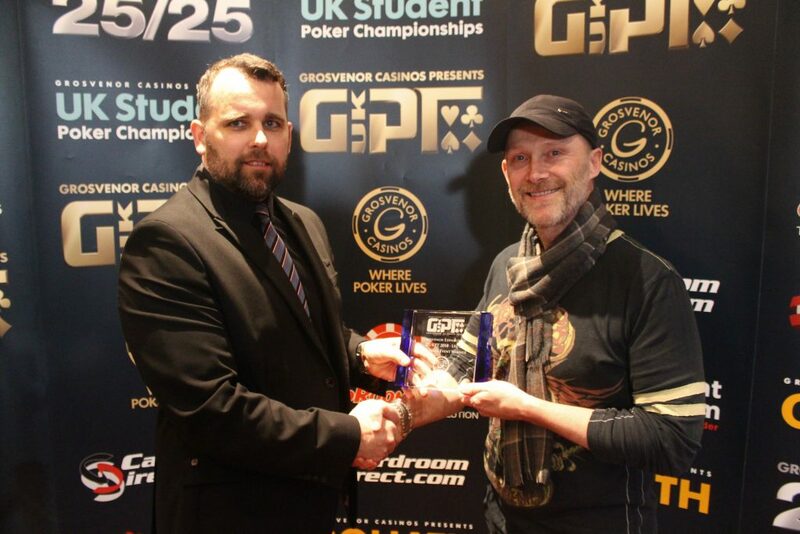 Gary StevenSmith is the GUKPT Edinburgh Main Event Champion taking home £36,350!! The players are now back to begin heads up play. Break time for the two remaining players. They take 15 minutes before beginning heads up play. Stevie down to just 900k, gets it all in holding against the of Gary Smith. Gary makes a set to take the pot and will go into heads up as chip leader. They are now 30,000/60,000 with a 6,000 ante. 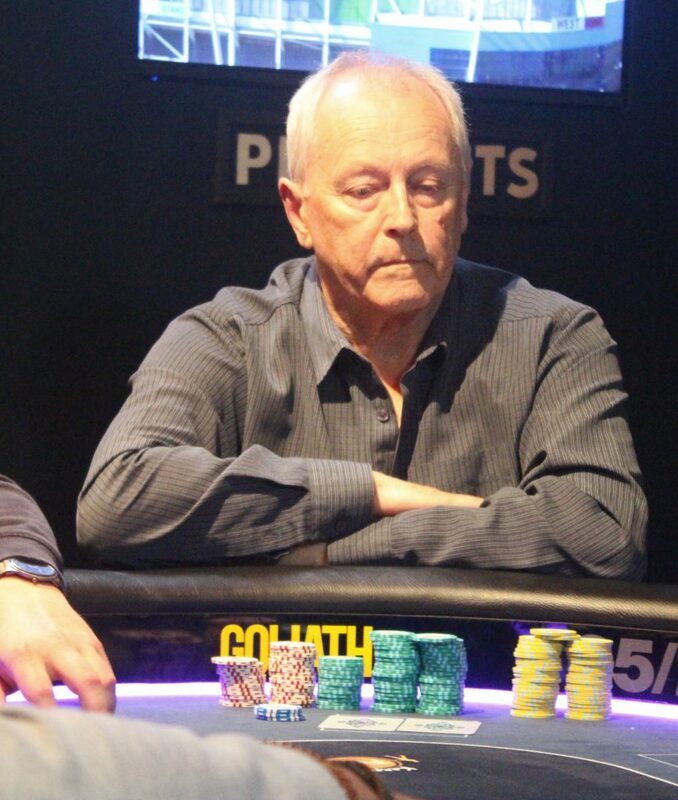 Steve Bangham still leads the way and has increased his stack to 3 million chips since the last break. No much action to speak of this level. The players are all very deep, the levels are 45 minutes long now though, which should speed things up. The players are back seated as we begin level 26. They are now 20,000/40,000 with a 4,000 ante. Ian Berry opens to 70,000, Gary Bertram moves all in from the big blind for 450,000. After some time in the tank Ian makes the call. Gary has the best hand tabling against the of Ian. The flop comes as Ian flops a pair and the nut flush draw! Gary flops a gut shot. Ian takes the pot and now has 2.1million which is good for the chip lead. 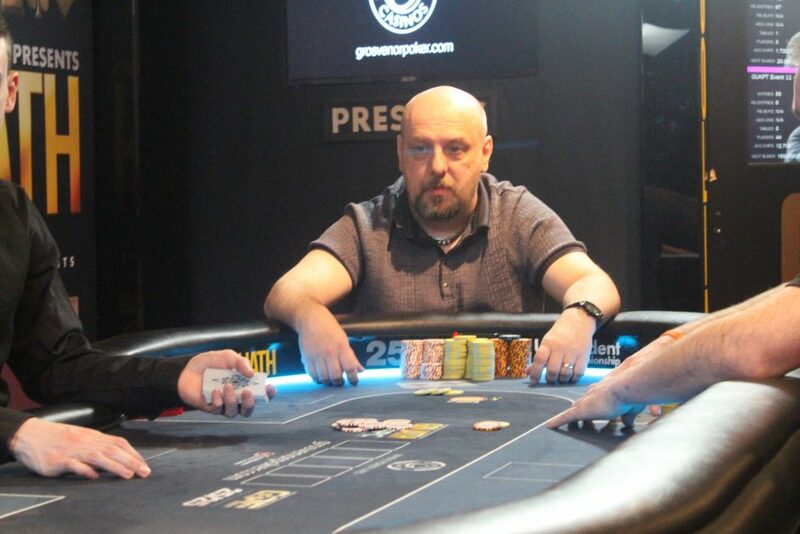 We lose Gary Bertram in 3rd place for £9,550. 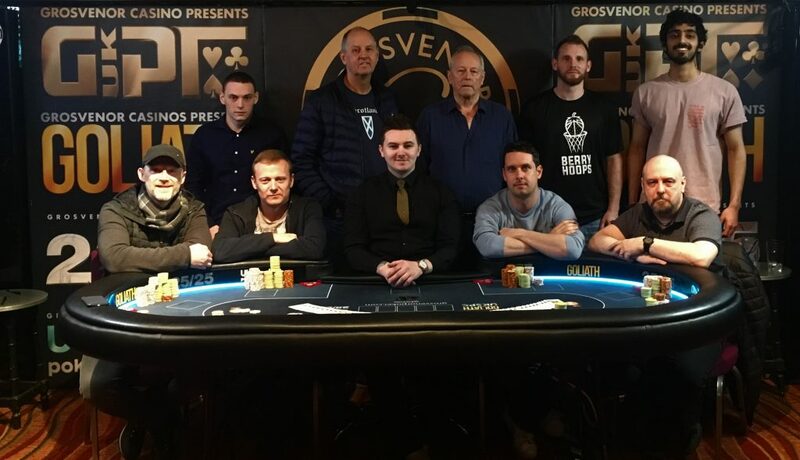 Stevie Bangham opens to 70,000, Michael O’Sullivan three bets to 175,000, Stevie calls. The flop comes Michael is first to act and leads out for 150,000 with around 150,000 behind, Stevie moves all in and Michael calls it off tabling for top pair, Stevie shows as he has flopped bottom set! The turn card comes leaving Michael drawing dead! 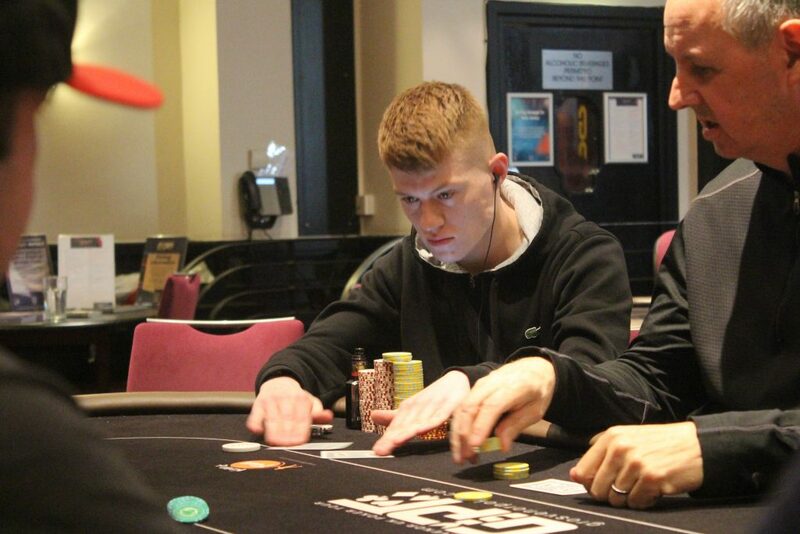 An awful hour for Michael as he has gone from chip lead to out, he leaves us in 5th place for £6,550. The blinds increase as we begin the next level of play, they are now 15,000/30,000 with a 3,000 ante. 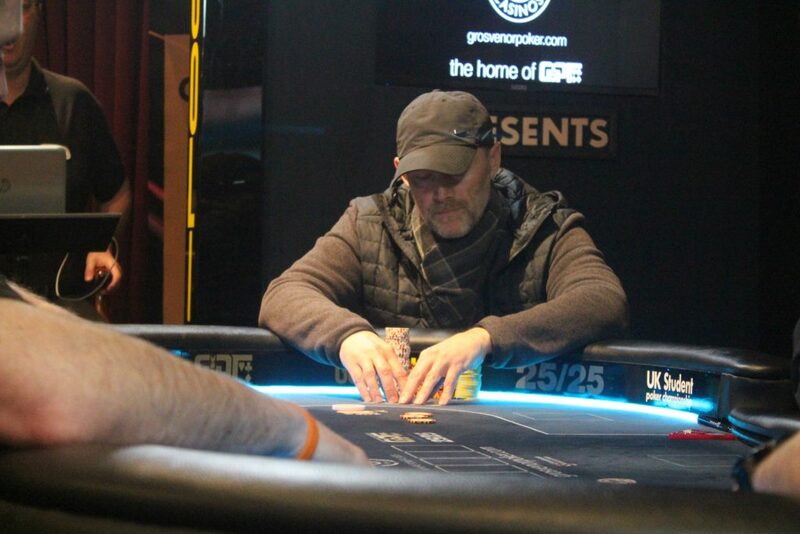 Gary takes little time before five betting ripping in his 780,000 stack and after some time in the tank Michael makes the call, for the chip lead pot..
Gary tables which dominates the of Michael. 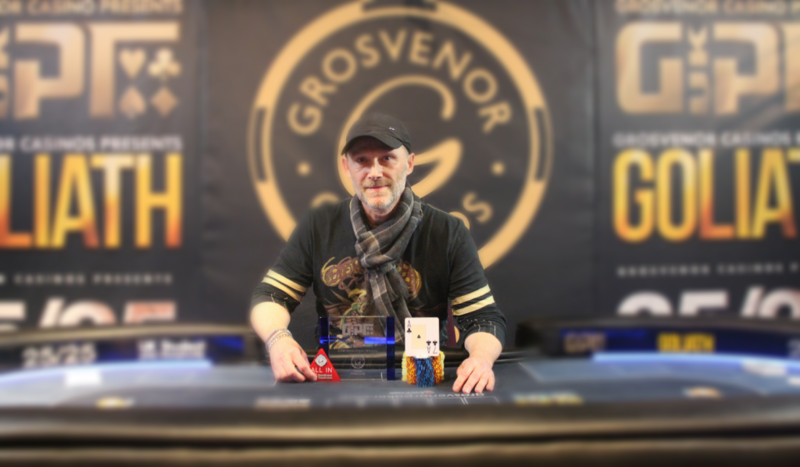 Kings hold for Gary as he takes the chip lead in the tournament with 1.6million. Michael is down to 1.3million. Usman Ulhaq three bet shoves his 20 bigs and is called by opener Michael O’Sullivan. Usman tables and is in bad shape against the of Michael. A set of jacks is good for Michael who is now up to just short of 2 million. 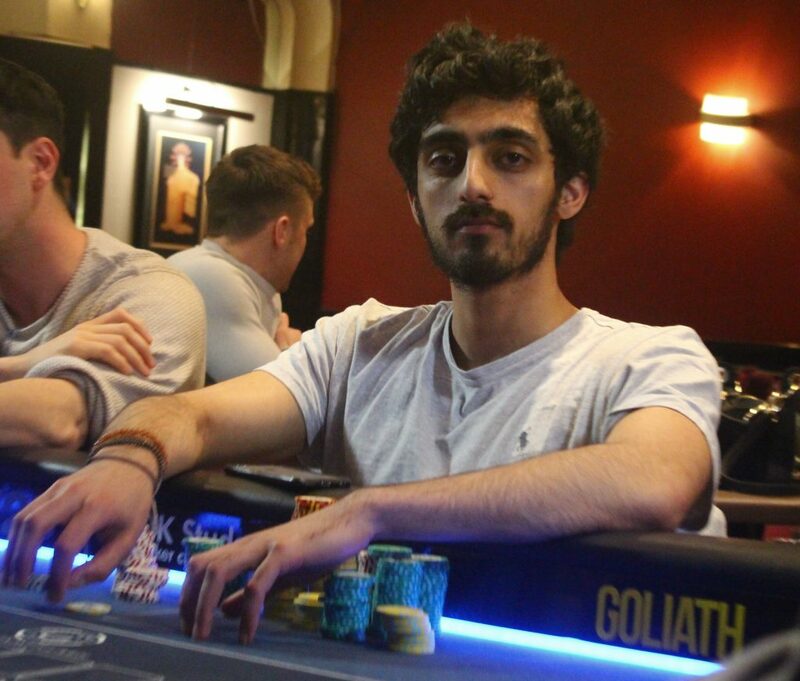 We lose Usman Ulhaq in 6th place for £4,900. The players are back seated as we begin level 24. Hayden Harman gets his ten bigs all in pre holding against the of Ian Berry. The flop comes as Ian flops top pair and a gut shot straight draw. The turn card comes !! Ian hits a straight leaving Hayden needing a jack to survive. 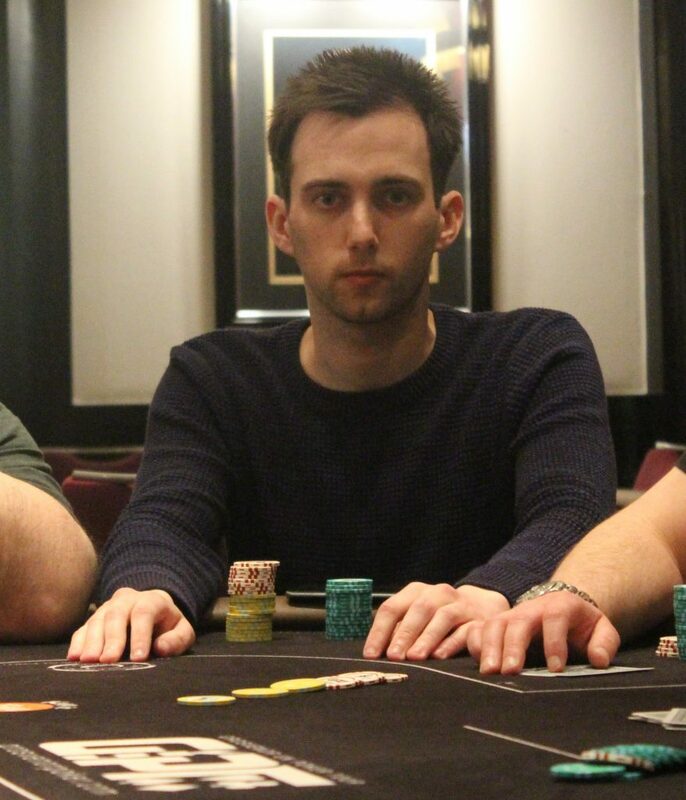 Another unlucky exit as Hayden busts in 7th for £3,900. for Usman against the of Rob. The turn card !!! Usman turns a King to take the lead. 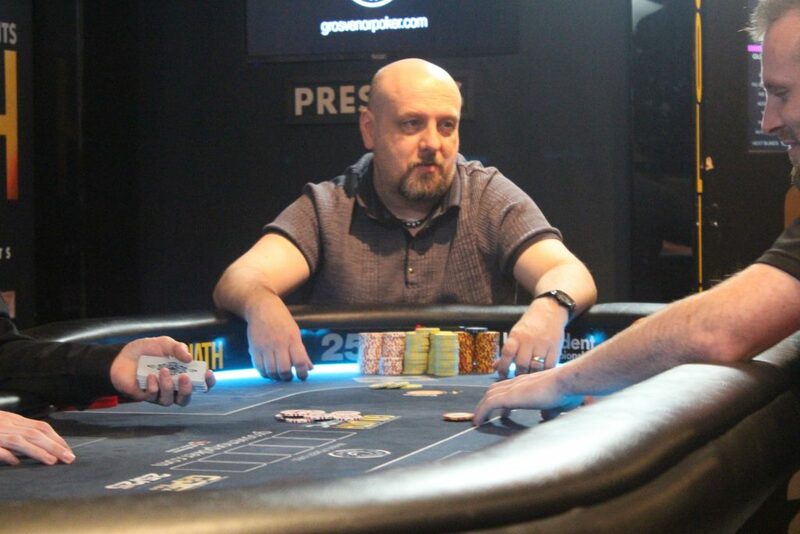 Very unlucky for Rob as he heads out in 8th place for £3,050. Andrew tables J-10 for the nuts, Gary shows K-8 for top and bottom. The river card comes a KING!! Full house for Gary as he takes the pot and now 850,000. Very unlucky for Andrew as we lose him in 9th place for £2,600. 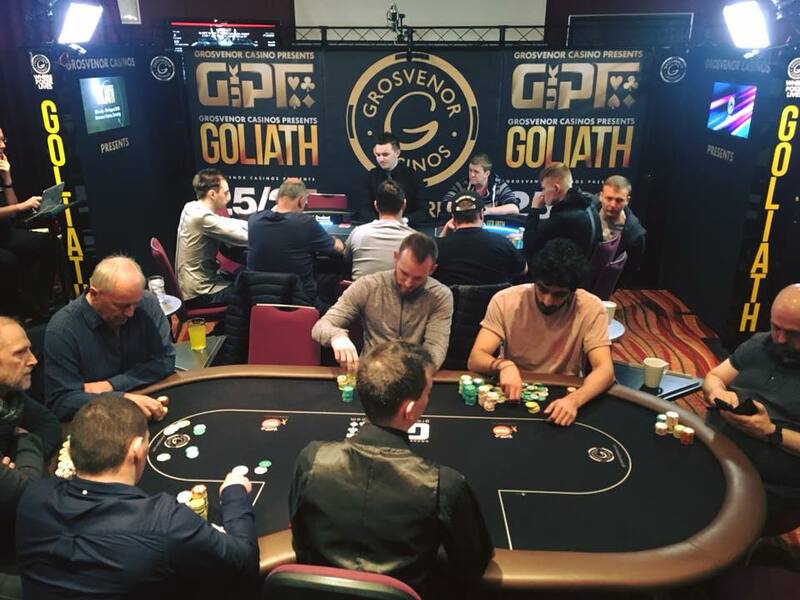 The final table is now underway. Blinds are 8,000/16,000 with a 2,000 ante. Break time now for the players as they take 15 minutes before beginning the final table. The board runs out Js !! Flush for Michael as he takes the pot and now has around 1.3million. 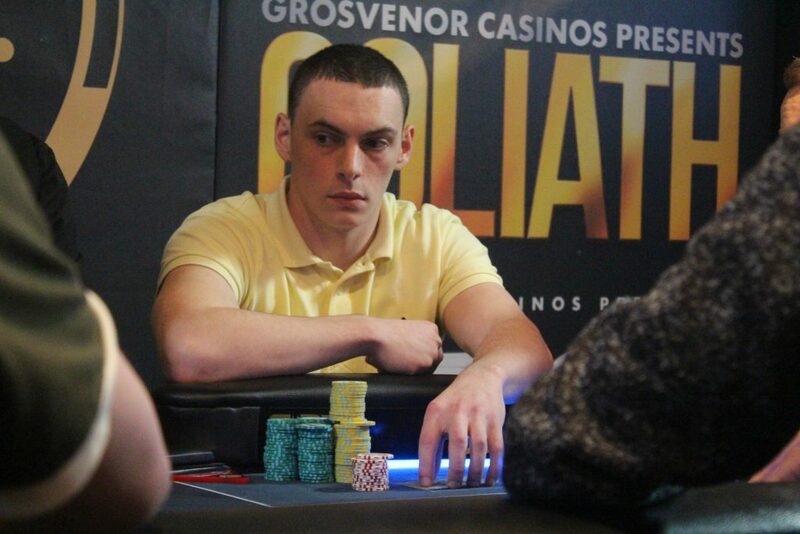 Sick for Jacob as he heads out in 10th place for £2,200. We are now hand for hand on the final table bubble. Louis Paxton gets his 375,000 all in holding against the of Gary Bertram. The flop comes as Louis flops a full house! The river card !!! Gary makes a bigger full house on the river to take the pot, he now has around 800,000. We lose Louis PAxton in 11th place for £1,950. 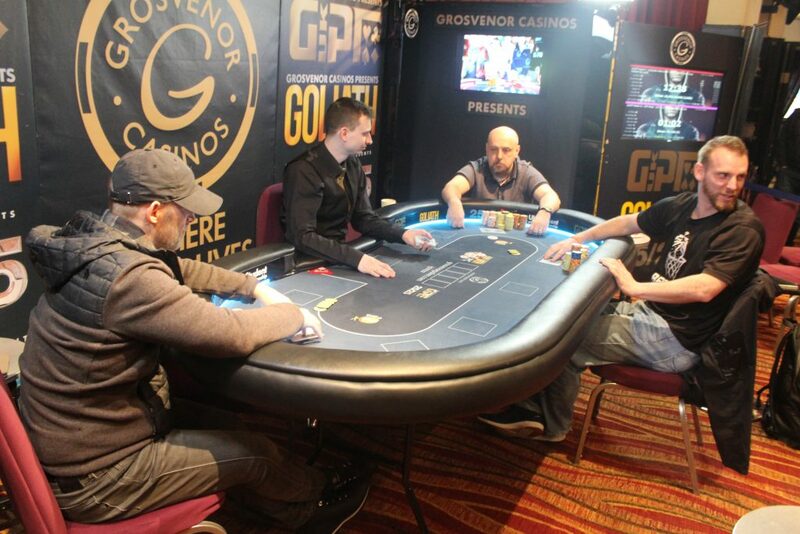 David Weeks three bet shoves his four big blinds and is called by opener Gary Bertram. David tables against the of Gary. Gary takes the pot with the nut flush. We lose David in 12th place for £1,800. Sally Lawson calls a raise with the flop comes king high and she gets it all in! Unfortunately for her Michael O’Sullivan has top set!! Sally drawing dead heads out in 13th place for £1,650. Ross McLeod is the first player to bust today, all in with and runs into queens. 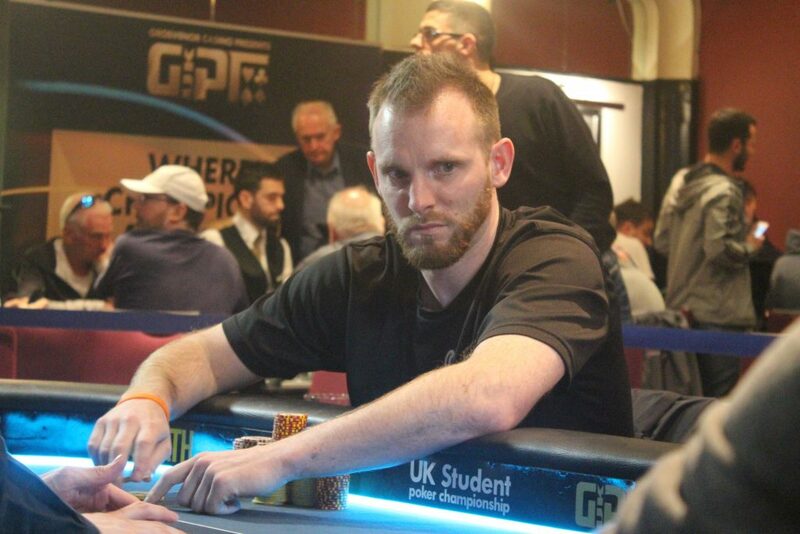 No help for Ross and he busts in 14th place for £1,600. The final day is now underway. Who is going to take down the title? The cards are in the air as we begin day 2. The blinds are 6,000/12,000 with 1500 ante. 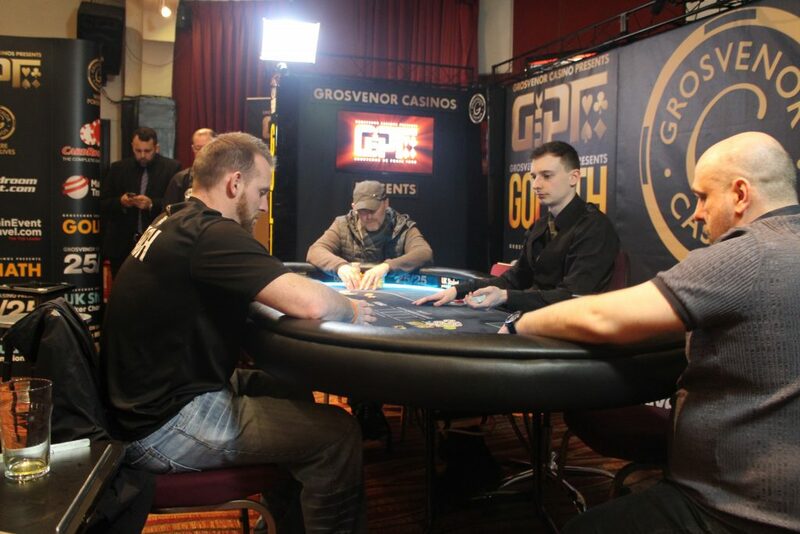 Good morning and welcome back to the final day of GUKPT Edinburgh. We have 14 hopefuls remaining in the tournament, looking to become a main event champion. We will be starting at 12pm and playing down to a winner!